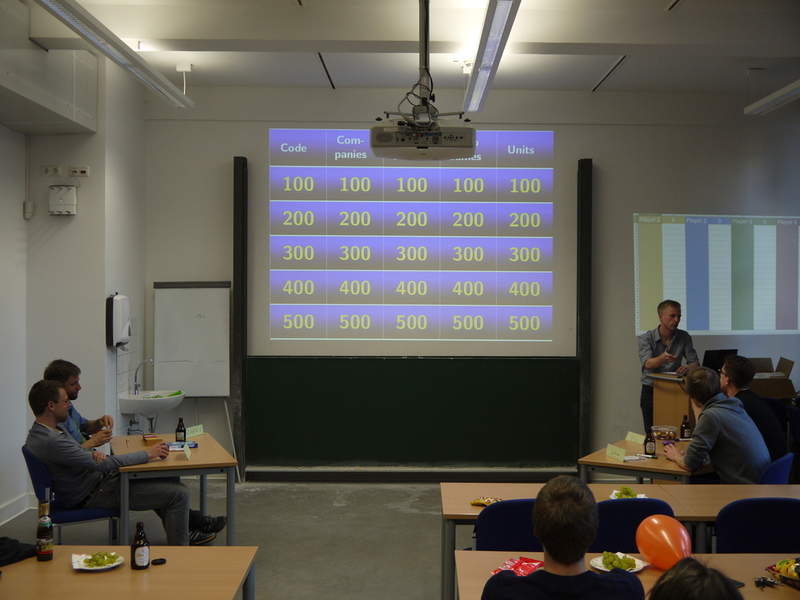 The first Science Jeopardy event at RWTH Aachen University was held by the SIAM Student Chapter on May 15th. In the first round, four candidates at a time were given answers from more or less scientific topics like “Algorithms”, “Plots” and “May the force be with you” and tried to find the correct question first. Whenever no candidate could give the answer, somebody from the audience could help out to win a special prize. After the first rounds, the final competitors were found and played the final round. But in the end a clear victory of SIAM Student Chapter’s officer Alex J. was unavoidable. All participants won prizes ranging from SIAM mugs and pens to MathWorks shirts and backpacks. The evening was generously sponsored by the local company d-Fine such that snacks and beverages could be provided for everybody. The event was a great success and will surely be repeated soon! 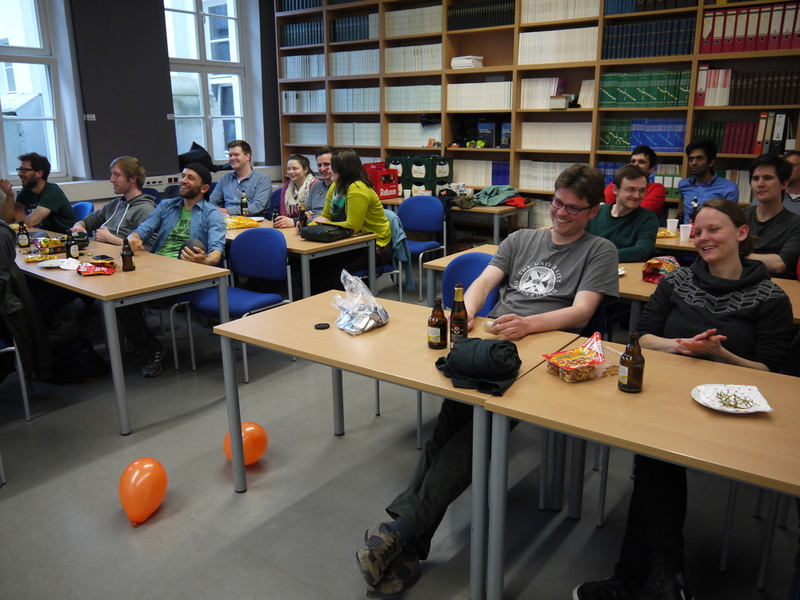 The LaTeX template for the event can be found at GitHub under the project name “SIAMSC_jeopardy”.